Looking for something different to celebrate the nation’s birthday? How about a trip to Door County where you can enjoy a variety of fun family activities? The area is home to multiple events and activities you can enjoy over the long weekend (July 4th is on a Monday this year). Ephraim Shores Resort, the best beachfront resort in Ephraim, is the ideal home base for your family getaway. Enjoy a small-town Independence Day celebration in the neighboring Bailey’s Harbor. The town celebrates the entire three-day weekend with family-friendly events, including a parade, live music, arts and crafts for sale, food vendors, horse and pony rides, trolley rides and, of course, fireworks. Watching fireworks over the water is something special and shouldn’t be missed. The Bailey’s Harbor Fire Department Breakfast at the local fire station on July 4th is another great tradition that you won’t want to miss. In addition to Bailey’s Harbor’s fireworks displays, Sturgeon Bay, Gills Rock and Washington Island have their own displays on July 4th. 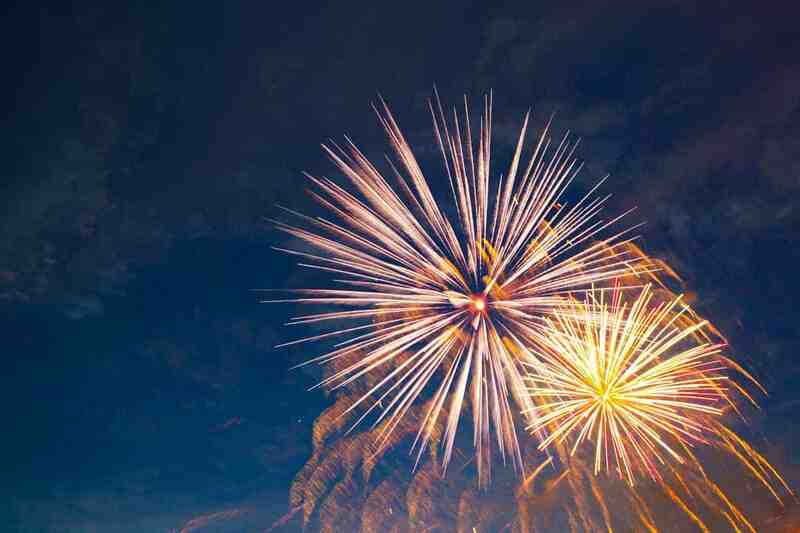 If you don’t want to wait until July 4th to view fireworks, Egg Harbor hosts its own popular display on July 3 starting at 9:30 p.m. Besides the holiday events, Door County is home to countless activities the entire family can enjoy together. Hike or bike in one of the county’s state parks, go for a boat ride, go zip lining, play mini golf, visit farm animals or take in a museum tour. Even better, everyone can sit and relax on Ephraim Shores’ waterfront or swim in the pool without worrying about staying on schedule. With its mix of accommodations ranging from rooms with two queen-sized beds to two-bedroom suites with a full kitchen, Ephraim Shores has just what your family needs to make it a great condition. Right on Eagle Harbor, the resort’s amenities include a beach, sundeck, indoor pool and whirlpool, game room, exercise room, bicycles for guests to check out and free Wi-Fi. Ephraim Shores stands out when it comes to Door County resorts. The resort’s well-trained staff is ready to welcome you to our clean, comfortable rooms and provide you with the relaxing vacation you deserve. A comfortable beachfront resort in Ephraim, Ephraim Shores is the ideal place to spend your vacation this summer. Visit our website today or call us at 877-854-2371 to make your reservations.